Do you need to put a little “spark” in your choral program? Is there just too much new music out there for you to review? Join us for a fun, enriching day of music education with Andy Beck, Greg Gilpin, and Stanton’s own Jen Sper featuring music from Alfred Publications, Shawnee Press, Choristers Guild, Heritage Music Press, and other choral publishers. Nowhere else will you find such a variety of new choral selections and teaching resources to inspire and motivate you and your students as you begin the school year. Visit our previous post for information on how to choose the Stanton’s session that is best for you. These a cappella “miniatures” were written for Maundy Thursday and Good Friday, respectively. The Tenebrae texts are based on two scripture passages and set the stage for the joy of Easter Sunday. Beautiful! Judy H. has been working in Stanton’s Choral Department since 1975. She holds a Bachelor’s degree in Music Education from Bowling Green State University, and a Master’s degree in Choral Conducting from The Ohio State University. A member of the Grove City Chamber Singers, Judy also enjoys reading and spending time with her four grandchildren. Jennifer F. is a graduate of Otterbein College with a degree in Vocal Performance. She has worked at Stanton’s for over 14 years specializing in Sacred Choral, Classical Vocal and Handbell music. Jennifer is a soprano section leader in the Chancel Choir at First Community Church in Columbus Ohio, and is also the founder, Artistic Director and bass bell ringer for Handbells Columbus. Hot new arrangements of pop hits that span the decades! Recorded by pop group Panic! At the Disco, this hit tune features a strong melody and a driving pulse…an uplifting anthem for any ensemble, team, or celebration event. Justin Timberlake is back with a sizzling new track that’s heating up YouTube and the airwaves. Its catchy pop hooks and pounding dance groove make it a student player must-have. Adele’s heartbreaking ballad from her 2015 album is a standout hit and has been heard all over radio and television. “Hey Jude” was The Beatles’ longest charting hit – it was at #1 on the Billboard charts for nine weeks in 1968. Surely your students deserve only the best! Very playable version of fun, rhythmic power-pop from Ohio’s own Walk the Moon – it peaked at #4 on the Billboard charts. The band, Walk the Moon, had this catchy power pop hit all over the radio in 2015. With members from Columbus and Cincinnati, they do Ohio proud! Vitamin String Quartet’s actual hard-charging version of Muse’s modern rock tune with an added bass part. Your students can work on reading rock rhythms with their syncopation, offbeat accents, triplets, grace notes and accidentals. The cellos and basses lay down a solid foundation for everyone else to build on. It’s an authentically rockin’ rendition that will be most impressive when polished. Top notch! Yet another of the many No. 1 hits of the Beatles in 1964 as they transformed popular music forever. Now arranged for strings, it features all the elements of a classic song…melodic hooks, harmonies and a pop style that appeals to everyone. You can find more orchestra pop hits on our website, or contact us for even more repertoire ideas. Shop Stanton’s for all your sheet music needs! The Music for Millions series is a great educational resource of piano pieces composed by pianists, especially for growing piano students. Easy Classics to Moderns Volume 17 includes 142 easy piano pieces composed from the mid-1700s to the present day. Many are only 2 lines long, so they are just the right length for a student’s very first (*gulp*) recital. There are the familiar pieces by J.S. Bach, such as Minuet in G, and Musette in D; Old French Song by Tchaikovsky; Six Miniatures by Bartok, and many more. The variety of the time periods presented offer the opportunity to become familiar with piano music across the ages. If you are preparing students for OMEA adjudications at the middle school level, anything in this collection is acceptable! If you have never used this collection before in your studio, I encourage you to check it out! For more information, call us at 1-800-42-MUSIC, email us at keyboard@stantons.com, or visit our website, stantons.com. Contact Stanton’s for all your sheet music needs! Barb M. has worked in the Keyboard Department at Stanton’s since 1981. An active folk musician in the Columbus area, Barb also works with ensembles at her church and plays in the Columbus State Concert Band. In her spare time, Barb loves working with animals and computer games. Celebrate the joy of Christ’s resurrection with this outstanding medley of Easter tunes. The handbell arrangement can stand on its own or the optional brass and organ parts can be added for a more dramatic presentation. This selection is perfect for showcasing your bell ensemble on Easter Sunday and makes a dazzling inclusion in spring handbell festivals. Easter Hymn begins simply, with melody and fragments of it leading to the statement of the tune. An interlude generates excitement, culminating in a grand and triumphant presentation of the powerful resurrection hymn. Contrasting dynamic levels, innovative harmonies, and various techniques characterize this masterful Dan Edwards arrangement. Particularly effective for Lent and Holy Week services, this dramatic work conveys the emotions of those who stood in the shadows of the cross. 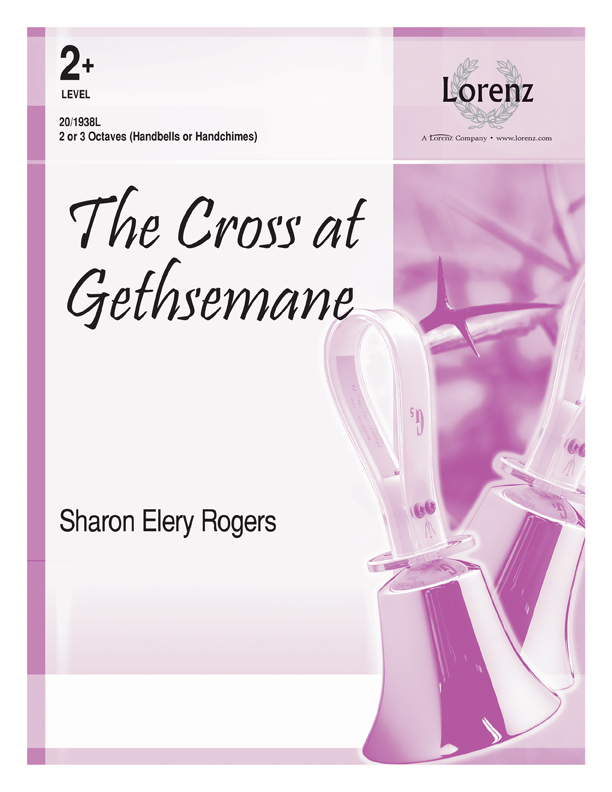 Sharon Elery Rogers combined “Go to Dark Gethsemane” and “Beneath the Cross of Jesus” for this evocative setting that will enhance any Lenten worship service. To make bell changes smooth and effortless, the director may want to spread the assignments of the many accidentals throughout the choir. 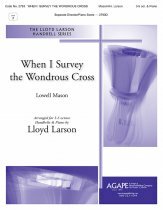 Simultaneously traditional and modern, Lloyd Larson’s arrangement of this beloved hymn is sure to become a favorite of your congregation. A gentle accompaniment underscores the melody, while occasional and often unexpected chromatics sneak in to provide a fresh take on the tune. A simple but stunning selection for worship! Anna Laura Page has created a striking arrangement which pairs John Stainer’s “God So Loved the World” with Handel’s “I Know That My Redeemer Liveth.” This wonderful setting is perfect for Lent or general occasions and is accessible to most ensembles. For more great recommendations, contact us at 1.800.426.8742. Shop Stanton’s for all your sheet music needs! Stanton’s is thrilled to announce The Joy of Singing 2017 – two full days of the best new music from Hal Leonard! 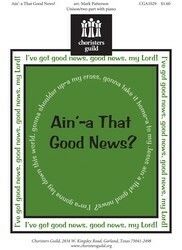 New music appropriate for the beginning choral singing level (unison/2-part/3-part mixed). Includes choreography and two spotlight sessions on specific areas. New music appropriate for the middle/high school choral singing level (2-part, 3-part mixed, SAB, and SATB). Includes choreography and two spotlight sessions on specific areas. Our clinicians this year will be John Jacobson, Cristi Cary Miller, Rollo Dilworth, and Mac Huff. Each director will receive a packet of complimentary booklets containing complete editions of arrangements suitable for both school and community choirs. You’ll have ample time to browse Stanton’s on-site store and chat with the clinicians throughout the day. Registration will open on April 1st – contact us at 1-800-426-8742 or choral@stantons.com for more information. Shop Stanton’s for all your sheet music needs! Join the Stanton’s School Choral Music team to review and sing our recommended choral music for finishing out the school year! 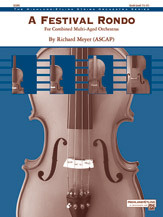 We will read selected titles for mixed, men’s, and women’s ensembles appropriate for spring concerts and graduation. Because we will be reading music directly from our large inventory and sharing the expertise of Stanton’s School Choral Music Specialists Jen Sper, Alissa Ruth, and Joyce Stonebraker, we are able to offer this reading session at no cost to you! For more information, email us or call 1.800.426.8742 ext. 1. “Making Sight Reading Fun” – is that even possible? This creative resource book by veteran middle school choral director Mary Jane Phillips provides many different games to motivate upper elementary and secondary students to not only work harder on perfecting their sight reading skills, but to have fun while they do it! Along with motivational games like “Eliminator,” “Sight Reading Football” and “Trashketball,” Mary Jane offers tips and tricks from 27 years spent motivating students to learn to sight read in the most painless way possible. There are short Daily Activities and longer Friday “Game Day” activities – 20 in all – to keep students on their toes and engaged while learning to sight read. Also included are many sample music examples and a list of resources to use if you need to find more sight reading material. Suggested for grades 4-12. Find more sight-reading resources for your choir on our website, or contact us at 1.800.426.8742 for recommendations. Shop Stanton’s for all your sheet music needs! Jen Sper has been with Stanton’s since 2006. A former middle school and high school choral director, she holds a Bachelor of Music Education degree from Baldwin Wallace College Conservatory of Music. An active choral singer and accompanist throughout the Central Ohio area, she also enjoys good food, running (to counteract the good food…) and the Muppets. 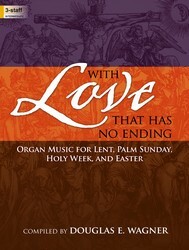 With Love That Has No Ending is a wonderful new collection of sheet music for organ. Compiled by Douglas E. Wagner, this collection has selections for Lent, Palm Sunday, Holy Week, and Easter Day. The full spectrum of emotion that plays out during the Lent through Easter seasons, from deepest sorrow to unbridled joy, is further amplified by the musical offerings that are brought to the worship experience. This collection presents a diverse gathering of hymn tune settings and arrangements of classic works appropriate for these holy seasons of the church year. May each of these titles draw us closer to Calvary, in communion with the Love that has no ending. 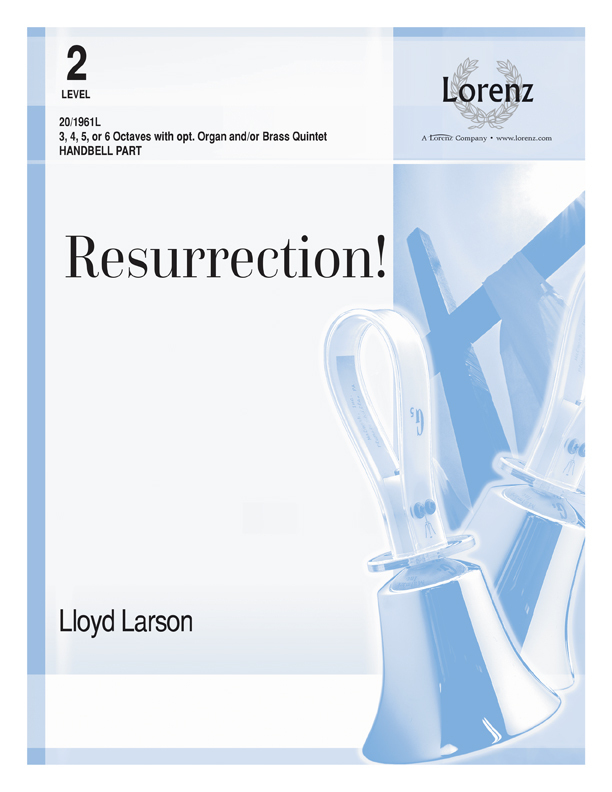 For more information about this organ music collection or other options for Easter music, call us at 1-800-42-MUSIC, email us at keyboard@stantons.com, or visit our website , stantons.com! Almost every spring, I speak with some school system somewhere wanting to program a HUGE combined concert featuring their elementary, middle and high school string orchestras. Up until now, it has been hard to recommend something that will work in that situation. Leave it to the inimitable Richard Meyer to solve the problem! “Festival Rondo” is the perfect energetic closer to an “All City” multi-level concert. Combining three levels of string orchestra (and yes, there is a harp part too) with plenty of parts for everyone, each of the three levels gets featured at some point during the piece. There are a couple of key changes and some accidentals, but nothing your groups can’t handle by the end of the school year. It’s an entertaining extravaganza! Contact us for more recommendations for combined string ensembles, or visit our website to shop Stanton’s for ALL your sheet music needs! Lost as a snowflake in the sea. A taper in a rushing wind. 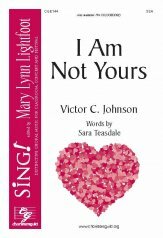 Sara Teasdale’s poem has been set by a number of composers, but this new setting by Victor Johnson beautifully captures the warmth of the text and allows for many opportunities to teach rich, open tone and elegant phrasing. For the most part, Johnson uses three-part writing, but divides into four parts at key musical moments for added depth. The voice leading both in and out of the divisi is intelligent and accessible, and is supported by a delicate, artful piano part that adds some shimmer to the warmth of the vocal lines. If you choose, you can add the optional violin part to this piece; it doesn’t detract from the singers but adds one more layer of color to the piece. Although we know that there are so many pieces for women’s voices inspired by text like this, we really feel that this is one that should be on your radar and that your students will love to sing it. If you have any questions about these or other octavo recommendations, feel free to contact us for this and any other sheet music needs! Alissa Ruth began working at Stanton’s in the summer of 2016. She is a former middle and high school choir director and holds a Bachelor of Music in Education degree from Capital University. She is an active choral singer in the Columbus area, and spends her free time running, doing yoga, cooking, and watching Netflix. Involve your youngest singers in worship this spring with one of these great anthems for children’s choirs! Stately and triumphant, this anthem for Palm Sunday highlights the celebration of Christ’s entry into Jerusalem. A simple hosanna refrain recurs throughout the piece making it both easy to teach and to learn. A delightful, festive introit that children will love! The accompaniment sparkles especially on the refrain. Excitement surrounds this jubilant Easter anthem that recounts the feeling of elation for Christ’s resurrection. Written in ABA form, the B section incorporates the familiar NOEL NOUVELET tune providing a nice contrast between the two A sections. An optional descant in the final A section magnifies the spirit of euphoria for the anthem’s resounding conclusion. This spirited, fun-to-sing setting of the well-known spiritual is infused with cool jazz harmonies to give the piece a fresh, vibrant sound. Anna Laura Page’s charming partner piece will delight your congregation. The hymn tune begins the piece before a new complementary tune innocently enters, asking to hear of “the story so dear.” Consider making this an intergenerational piece with parents and children – what a wonderful, visual way to depict faith conversations. Very accessible, featuring simple rhythms and familiar intervals. 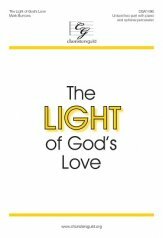 Celebrate God’s light shining through us than with this anthem from bestselling composer Mark Burrows. With a soulful melody, a rockin’ accompaniment, and suggestions for optional percussion, this anthem will become one of your choristers’ favorites. Mark’s lyrics move from “me” to “you” to “we” – intentionally putting the focus on community and mission. Your choir will love the throwback to This Little Light of Mine. Want more suggestions from Stanton’s? Contact our Choral Department at 1.800.426.8742! Shop Stanton’s for all your sheet music needs! Getting ready for Saint Patrick’s Day? 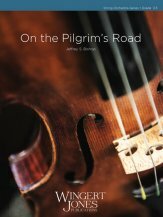 Stanton’s has a new book for banjo, Celtic Bluegrass. Many of the Scottish-Irish folksongs and tunes were retained in the Appalachian mountains, and this collection of tunes for 5-string banjo includes “Devil’s Dream,” “Soldier’s Joy,” and “Fisher’s Hornpipe,” among others. This book includes Audio Access – when you use the code that comes with the book, you will find recordings for each tune, and listen or play along! A fun collection for lever harp players is 50 Irish Melodies For All Harps, arranged by Sylvia Woods. Each tune has an easy arrangement and an intermediate arrangement – with 52 tunes to play, you have lots and lots of choices! Contents include “Danny Boy,” “The Gartan Mother’s Lullaby,” “Killarney,” “My Wild Irish Rose,” “The Rakes of Mallow,” and more. For more information, call us at 800-42-MUSIC, email us at keyboard@stantons.com, or visit our website at stantons.com Shop Stanton’s for all your sheet music needs! The five-member vocal group Pentatonix has taken the pop music world by storm since they first leapt onto the scene in 2011. They have won multiple Grammy Awards, and are currently in the midst of their 2016 World Tour. As a teacher, my kids were constantly (read: at least once a week) asking “Can we do something by Pentatonix?” So, whether you are getting those same questions or are just looking for some quality contemporary pieces to program, below are three of the PTX pieces we offer that we felt stood out from the rest. Because these were, at the start, arranged for multiple voices, they translate very well to a school choral setting; these provide a great way to incorporate pop music into your program without sacrificing musical integrity by using a piece never intended for choral use. All three of these pieces were also featured at our Joy of Singing clinic over the summer, and if you would like to view the videos of those pieces being presented, they can be found here. This piece is high energy, and works well with both the piano accompaniment and the full accompaniment recording. Your kids will love how peppy and upbeat the piece is, and that will feed well into your rehearsal energy as well. There are some great opportunities in here to reinforce rhythm work that has been done throughout the year, and we really feel that this is a piece that kids will get excited about. This piece is just as high energy as “Sing,” and also can be performed effectively with either the written piano accompaniment or the accompaniment track. Mac Huff did a great job of using voice ranges that will work well for the target age range of a high school choir. It also provides an opportunity to use a beat boxer, so if you have a student who has that skill, this would be a great way to feature them. This is one of my favorite Pentatonix pieces. I think it provides a much-needed way to perform a pop piece while using the warm tone you have worked hard to achieve with your choirs. This arrangement is well-voiced, and has a rich, full sound; all of the ranges are in a warm place in the voice. I also really love that the tenors have the melody through most of the piece (as a soprano, I feel I can say that that’s a welcome change that happens too infrequently). I hope you enjoy this piece as much as we have. If you have questions about these or any other sheet music recommendations, please feel free to contact us. We look forward to working with you! Featuring talented clinicians from major publishers, Stanton’s summer choral clinics are a fantastic way to jump-start your school year! We always look forward to visiting with our regular customers, matching up faces with names of new attendees, and meeting teachers new to Stanton’s from across the country. Stanton’s Elementary General Music Clinic is perfect for you! We’ll feature new resources, song collections, activities, and musicals especially designed and selected for classroom music teachers. You’ll find great options at both the Elementary General Music Clinic AND the Joy of Singing – Young & Developing Choir sessions (see above and below for more details). The Joy of Singing – Young & Developing Choir is a great option. This day will feature new music for the beginning choral singing level (unison/2-part/3-part mixed voices), in both octavos and song collections. You’ll also get movement ideas (including videos and choreography notes from John Jacobson), and two spotlight sessions on specific areas. We’ll even look at some musicals too! If your middle school choir uses 3-part mixed/SAB or developing SATB literature, you may also want to consider the Joy of Singing – Middle & High School Choir and the Stanton’s Super Session (see below). Join us at the Joy of Singing – Middle & High School Choir session OR the Stanton’s Super Session! At both sessions, we’ll feature new choral music in all voicings (SATB/SAB/3-part mixed/2-part/women’s/men’s). At Joy of Singing, we’ll present new music from Hal Leonard. You’ll also get movement ideas (including videos and choreography notes from John Jacobson), and two spotlight sessions on specific areas. Joy of Singing is usually about 50% concert/festival literature and 50% pop. At Super Session, we’ll present new music from many publishers including Alfred, Shawnee Press, Heritage Music Press, Choristers Guild, BriLee and Carl Fischer. Super Session is usually about 75% concert/festival literature and 25% pop. Consider the Joy of Singing – Young & Developing Choir, the Joy of Singing – Middle & High School Choir AND the Stanton’s Super Session. Any (or all three!) days will provide you with lots of new repertoire and teaching ideas! Registration will open on April 1st. For more detailed information regarding any of these clinics, contact the choral department at 1-800-426-8742, extension 1. Shop Stanton’s for all your sheet music needs! Craig Hella Johnson is celebrated as one of today’s most influential choral conductors. He is perhaps best known as the Grammy®-winning founder and Artistic Director of the choral group Conspirare, an award-winning ensemble that works to present choral music in fresh, imaginative ways. He is also currently the director of VAE Cincinnati, an auditioned choir dedicated to keeping choral music present in the Cincinnati community. As a conductor, Johnson is known for his unique programming in his “signature ‘collage’ style: through-composed programs that marry music and poetry to blend sacred and secular, classical and contemporary, traditional and popular styles.” I get excited when I see a piece with his name on it because I know that it uses the same creativity he utilizes in his programming to present the piece in an inventive way. One of my favorites, in particular, is his arrangement of Dolly Parton’s “Light of a Clear Blue Morning.” It maintains the same emotional energy of the original, but is perfectly adapted for choral singing. The music of Craig Hella Johnson is available through G. Schirmer and Alliance Music Publishing companies. Capture some excitement with these original, spirited, modern compositions! Here is a sure way to add excitement to any concert. With the half note=90 in cut time and lots of syncopation and offbeat accents, it is full of vitality. One of the challenges will be keeping the drive going even at softer dynamics. It has a split cello part that adds one more inner layer of involvement and also occasionally offers an optional doubling of the viola part if you need it. The whole piece is a refreshing melodic & rhythmic jolt of upbeat, spirited energy! Useable as a great concert opener, finale or even an encore, Danse Carnivale is a “throwback” inspired by can-cans, galops and quick-steps. Every part has an essential, connected role, tumbling through dramatic changes in tempi, style & dynamics with the quarter note=160. Viva la Carnivale! Capture the excitement of going to Jerusalem in centuries past. You can imagine the pilgrims as they struggle in those ancient times on their way to the Holy Land. The music is full of exciting rhythms contrasted with solemnity, 6/8 vs 3/4, percussive string effects, strums and solemnico style markings. All parts are enjoyably active and essential, so everyone will be kept busy. Different & interesting. You can find more programmatic options for orchestra on our website, or contact us for personalized recommendations for your ensemble. Shop Stanton’s for all your sheet music needs! We are excited to recommend the seven volumes of African American Organ Music Anthologies from MorningStar Publishing. Each volume includes five selections that span mid to late 20th century, and each piece was written by a prominent black composer. 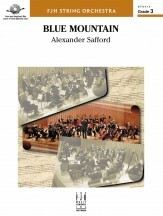 Adolphus Hailstork, Ulysses Kay, Mark Fax, and many more have selections in these volumes, and several represented composers were recipients of prestigious composition awards. These compositions range from hymn tunes and sprituals to original compositions, and are delightful options for your recital or church service! This series presents the perfect opportunity to expand your repertoire! For more information and other recommendations, contact us at 1-800-42-MUSIC, email us at keyboard@stantons.com, or visit our website. Shop Stanton’s for all your sheet music needs! Perfect for Good Friday or any time during Lent, this thoughtful anthem text beckons the listener to the foot of the “mercy tree” for healing and pardon. The music and text are fresh and inviting, while the piano and choral scoring are well-crafted. The main theme from the best-selling cantata The Weeping Tree is now available as a standalone anthem. With a heart-affirming portrait of the crucifixion and a gentle celebration of grace, the simple folk-like melody carries the weighty message of redemption in the sensitive arms of expressive music. A chamber orchestration option offers directors a way to incorporate this piece into a concert or passion pageant. Profoundly moving! 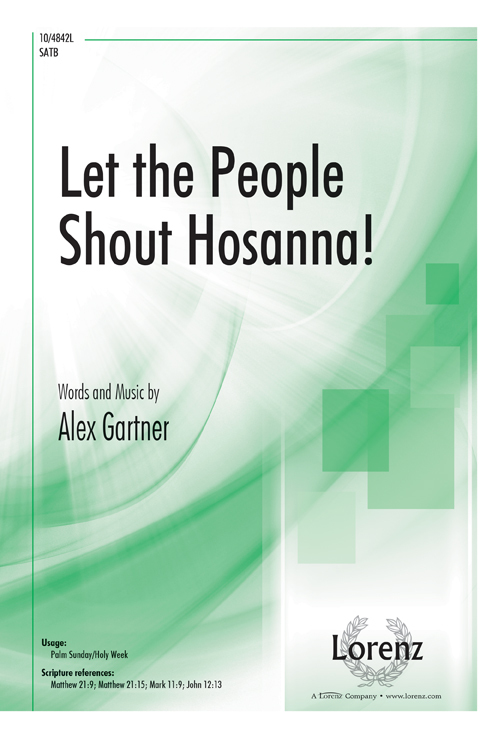 Alex Gartner’s dynamic anthem is a powerful way to begin Holy Week! The high energy piece captures the excitement of Jerusalem on that first Palm Sunday with its joyous melody, changing meters, and dramatic sound. Alive with vibrant praise, this acclamation of life is a festive flourish for Easter Sunday. The rhythmic theme is punctuated by a message of confidence and unbounded joy, and the majestic brass and timpani and sparkling handbell parts will lift this invigorating anthem to the skies. Glorious! 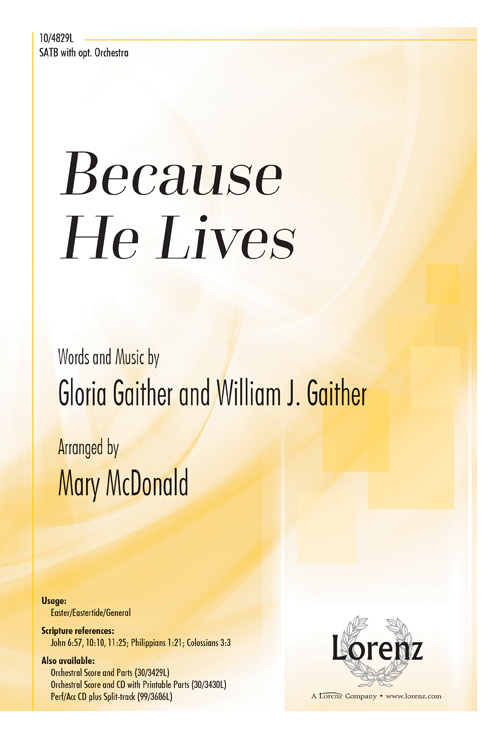 This classic song by Bill and Gloria Gaither explores how the resurrection of Christ transforms the lives of believers. Mary McDonald’s superb choral writing and Michael Lawrence’s dynamic orchestration add a fresh dimension to the congregational favorite. Walls of sound announce with confidence and power the glorious character of the Almighty as this festive anthem unfolds. An original tune rich with vitality and punctuated with exciting mixed meter moments forms the main theme. The anthem is crowned with a moment incorporating congregation as all join in singing the traditional hymn with a soaring descant. Awesome! A strong, resolute setting of the classic hymn, scored for SATB Choir and Organ or Piano, incorporating ALL HAIL THE POWER OF JESUS NAME for optional congregation participation. The setting is well within the reach of the average church choir and will make a powerful statement in any service of worship. Did you miss out on attending our January Sacred Choral Reading Session? If you’re interested in purchasing a packet from this year’s clinic (including these and many more selections for spring worship), please contact us! You can also click here to view our entire Sacred Choral promotion for Spring 2017, or visit our Virtual Workshop. Shop Stanton’s for all your sheet music needs!